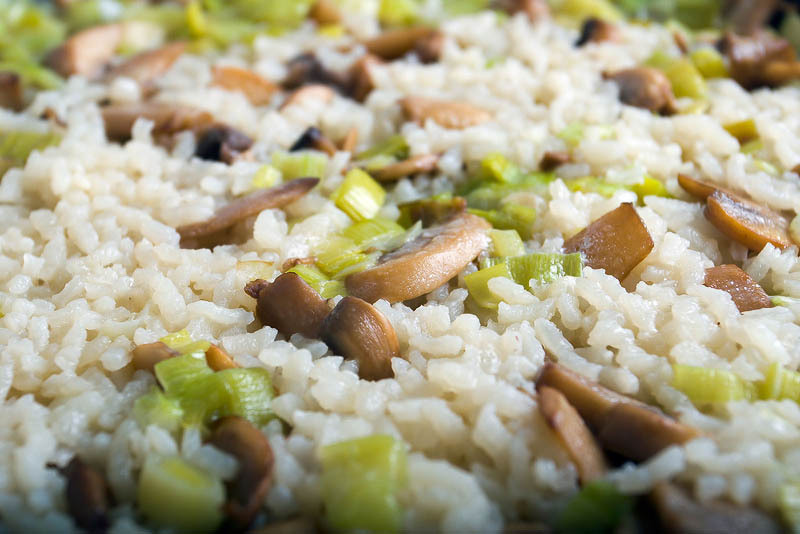 Close up of dish with cooked rice and vegetables. Vegetarian food. Traditional Italian kitchen.